Who will speak out for indie films ‘Orphans’ and ‘Hannah Takes the Stairs’? On the phone late yesterday with Nashville Film Festival Artistic Director Brian Gordon, talking about the fest’s successful 2007 edition and its creative synergy of its hometown music industry and independent film. (Note: I covered the fest for the online trade "indieWire"). Our conversation soon shifted to the subject of film advocacy and the essential role of festivals like Nashville in providing venues for independent dramas like “Orphans,” Ry Russo-Young’s powerful drama about two adult sisters coming to terms with the death of their parents, and Joe Swanberg’s “Hannah Takes the Stairs,” an improvisational comedy about a young woman (Greta Gerwig, pictured left) incapable of making an emotional commitment. The Cannes Film Fest is underway; so the allure of red carpet/celebrity moments is more captivating than ever (Didn’t Norah Jones look stunning?). Even Nashville, one of the most laidback festivals around, claims its share of red-carpet frenzy courtesy of Matchbox Twenty front man Rob Thomas in attendance to support his lively and engaging documentary “My Secret Record,” about his battles with his Atlantic Records bosses while recording his 2005 solo album. Thomas and his screaming fans aside, Nashville is an oasis for low-profile/high-quality films, like Adrian Belic’s documentary “Beyond the Call,” about a group of men who travel the world’s trouble spots helping out people in need. My question for Gordon, a true lover of film, is what happens when art houses play “The Da Vinci Code” instead of movies like “Hannah Takes the Stairs,” when festivals focus on “Spider-Man 3” instead of “Orphans” and the number of cinematheques, the most alternative of film venues, continue to shrink in size? Gordon did not have an answer other than continuing doing his job for the Nashville Festival. Advocacy for quality, grass-roots cinema, is my buzzword of the moment and here on the blogosphere, where the majority of film talk rests with superhero blockbusters, it’s more important than ever to promote films like “Beyond the Call,” “Orphans,” and “Hannah Takes the Stairs.” They’ve already played in front of audiences in Nashville, and hopefully, they’ll find their way to you. 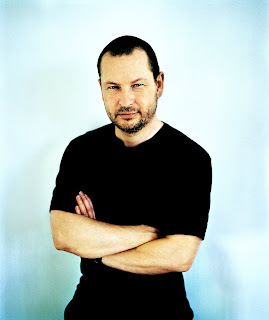 One of the great joys I’ve experienced as a film journalist these past fourteen years is the time spent watching, critiquing and debating the challenging work of Danish film artist Lars Von Trier. While I don’t consider every Von Trier film successful, in fact, I still scratch my head over his comedy “The Idiots,” I do consider “Breaking the Waves” and “Dancer in the Dark” as extraordinary and all of them worth seeing, if only to witness the world cinema’s most artful and intentionally political mind at work. Von Trier’s film movement, the “Dogme” principle and its pure filmmaking free of props, lighting and sound editing, continues to be an artistic force, one that has outlived its controversy. In a May 13 news report to the BBC, Von Trier (pictured left) reports that his next film, the horror movie “Antichrist,” which depicts Satan as the creator of the world, may be postponed due to his current battle with depression. The 51-year-old filmmaker confirms a hospital stay earlier in the year and describes his depression as an ongoing battle. True to his bad-boy reputation, this report could be a staged gag by Von Trier but I'm guessing it's real. Here’s hoping for a speedy recovery, although I can’t say I’m surprised by the news. Von Trier is an artist provocateur, a worldly cynic unabashed about his negative feelings on the state of the world and its political future. His storytelling is honest, often to the point of being bleak and I wonder if his artistic anger has taken a toll on his senses. More so than his famous phobia about traveling by plane or boat, Von Trier’s anger and solemn outlook has impacted his health. The artist who suffers for his craft is a timeless cliché, but still somewhat true. As Von Trier suffers for his craft, I’d like to add my voice to the chorus of supporters. There are few film masters left in contemporary cinema and Von Trier’s absence, no matter how long, will be felt. Musings in Rewind: Blogosphere, did you miss me? On the subject of movies, since we’re closing in on the midway point of 2007, I’d like to make two quick comments. “Spider-Man 3” may continue to be the box-office kingpin, earning another $60 million in U.S. theaters over the weekend. Still, I feel confident saying that true fan boys, those comic book lovers who can effortlessly rattle off Peter Parker facts, don’t like the film. On the flip side of cinema, I’d like to state my first contender for best film of the year honors, actor-turned-filmmaker Sarah Polley’s tearful melodrama “Away From Her,” starring Julie Christie (pictured, left) as an elderly wife dealing with a crippling illness. “Away From Her” gets better each time I watch it and while I have always admired Polley as an actor, I can’t begin to say enough about her as a director. Actually, I will say more, but at a later time. Now, back to work.